"Upper Bounce" Trampoline Safety Pad is a must to have to ensure your family's safety! Replace your worn out old pad with this High Quality "Upper Bounce" safety pad to get your trampoline back to use safely! This Trampoline Safety Pad protects the jumper from falling on the steel frame or getting hurt from the springs. 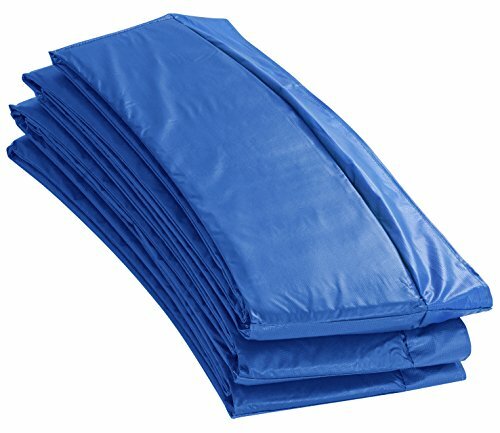 "Upper Bounce" Trampoline Pads contain the best shock absorbent, high density, closed-cell foam that will not absorb water, mildew or lose shape. Super Safety Pad is an essential safety feature for any backyard trampoline. Don't jump without one!